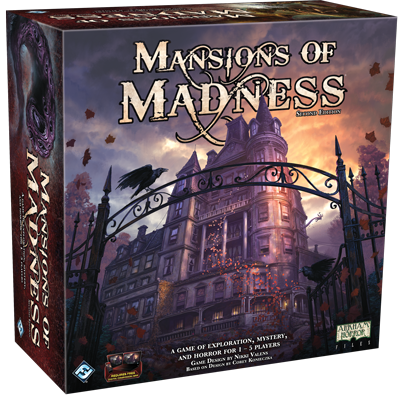 Horror arrived on the tabletop last year in the form of Mansions of Madness Second Edition, the deeply narrative reentry into the Lovecraftian Mansions of Madness world. 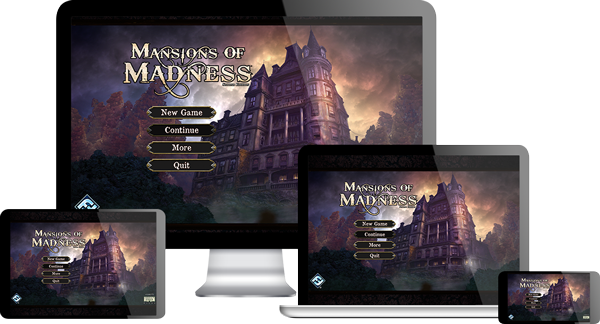 Revisiting a beloved game to create a new edition presents many unique challenges, as those who worked on the redesign of Mansions of Madness can tell you. Between innovating new components and mechanics and taking a fresh look at the existing elements, there's a lot to consider. Today, we hear directly from game designer Nikki Valens and scenario designers Kara Centell-Dunk and Grace Holdinghaus about the development of the game and its extensive expansion content. FFG: To begin, can you tell us a little bit about each of your roles in the development of Mansions of Madness Second Edition and its expansions thus far? Nikki Valens: Although my role on the project was that of designer, I wore many hats. My work started from the first conceptualization of Second Edition, including how a digital component could affect the gameplay and design of the scenarios. As designer, it was my responsibility to determine which mechanics from the first edition would remain in the second edition and create new mechanics to fill in the gaps. I also created the initial version of the digital component for testing purposes. Beyond the concept and design of the game system, I was the vision-holder responsible for ensuring each of the scenarios, investigators, and monsters had a consistent theme within the game and across our other Arkham Horror Files games. Kara Centell-Dunk: I was brought onto the base game of Mansions of Madness to create one of the four scenarios. I am responsible for the behemoth that is Rising Tide, though I tested other scenarios extensively with Nikki, Grace, and our other internal testers. After the base game, I became responsible for the content that followed: the Recurring Nightmares scenario Dearly Departed, our first scenario DLC What Lies Within, and, most recently, Beyond the Threshold. I also answer rules questions for the game. Grace Holdinghaus: I’m the most recent addition to the Mansions team, so I’ve been transitioning from writing mainly flavor text for the base game to writing full scenarios in the expansion Beyond the Threshold and the collection Suppressed Memories. It’s been a pretty exciting ride. FFG: What were the first steps in designing the game? NV: The earliest steps to any project are vision and concepting. In the case of a second edition, there were also the mechanics and themes of the first edition to consider. The earliest discussion was regarding the presence of a digital component and what it adds to the game. We saw that, by adding a digital component to take the place of first edition’s “keeper”, we could make the game a truly cooperative experience that was more fitting for the setting and style of game we hoped to create. The digital component would also allow us to streamline a number of other aspects of the game to make it both easier to learn and easier to play. The next step, then, was deciding what pieces of first edition were core to the system and which pieces we would choose to leave out. FFG: What elements of the first edition did everyone feel were important to stay true to in designing the second, and conversely, what pieces did you want to approach from a fresh perspective? NV: The biggest difference between first and second edition is the shift from a one vs. many style of game to a purely cooperative experience. Beyond that, we thought it was important to maintain the storytelling aspects of the game, including the tense atmosphere of first edition. It was our goal to allow the components of the first edition to be compatible with the new edition, which required our map tiles to act similarly. The last major mechanic to be brought over from the first edition was combat. However, with the digital component, we were able to push that mechanic farther than would have been possible with physical cards, giving each monster unique combat effects. Many other mechanics (such as the test resolution system, damage and horror cards, investigator actions, and mythos events) were designed from the ground up to match the second edition and its digital component. KCD: For me the thematic storytelling of first edition was the most important part of Mansions of Madness and Second Edition actually allowed us to get even more specific and detailed. The app allowed us to achieve that, but also create more detailed scenarios without needing more rules or components. Take the people investigators interact with in Second Edition—they are far more interactive with the scenario and the players, but rules-wise and component-wise, they were easy to implement and intuitive to use. GH: In working on Cult of Sentinel Hill, the scenario for Suppressed Memories, I knew it had to center on the Dunwich Horror since, as a unique monster, it couldn’t just pop up in other scenarios and it would be a real shame not to use such a cool bit of the mythos. I replayed the First Edition scenario that uses it and tried as best I could to both translate faithfully that scenario to Second Edition, but also to reimagine it with all the new capabilities of the app. I think one of the coolest parts of both versions of Mansions of Madness are the puzzles. It feels very different, solving a physical puzzle while the puzzle master looks on, and solving a code puzzle while all your friends are working together to help you, but both situations are still fitting to the game’s theme. 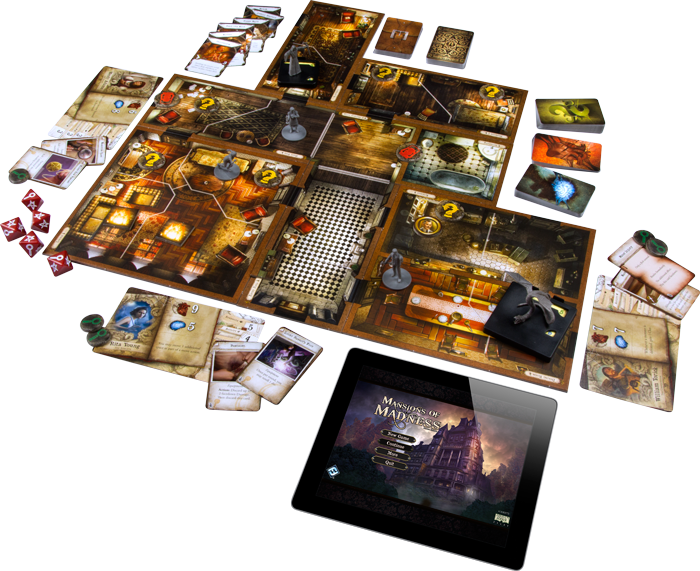 That's the end of our discussion for today, but come back next week to hear about Nikki, Kara, and Grace's thoughts on the game's various mechanics, investigators, and scenarios, as well as some discussion on what's still to come for Mansions of Madness! Get your copy of Beyond the Threshold at your local game store now. Read the second part of this interview here!